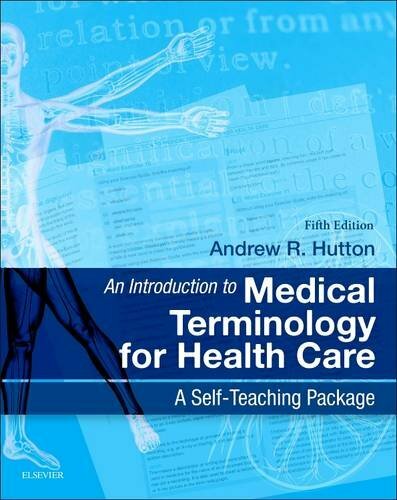 An Introduction to Medical Terminology for Health Care (Fifth Edition) by Andrew R.
A basic knowledge of medical terminology is essential for many health care professions. This attractive self-teaching text provides a simple, interactive guide to the language of medicine. 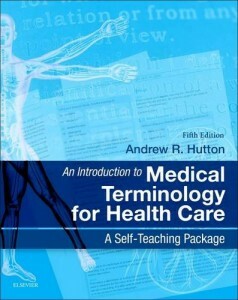 Following a brief introduction that explains the construction of medical words, the reader learns to decipher the meanings of medical terms associated with different body systems and medical specialties. By separating words into their components and recombining them to make new words, the reader learns how compound words are formed and becomes familiar with the meanings of prefixes, suffixes and roots. The anatomy exercises, case histories and medical notes consolidate the reader’s understanding of how and why each medical term is used. Answers to all exercises and self-assessment tests are included. Pathological notes describing common medical conditions and diagnostic terms associated with sixteen body systems. A new self-assessment unit the reader can use to test his or her understanding of word components used throughout the text. Redrawn illustrations and a new, clearer layout. This new edition continues to meet the needs of a wide range of students in the health care professions including care assistants, medical secretaries, nurses and medical students – in fact anyone who needs a quick and efficient way to understand the language of medicine.